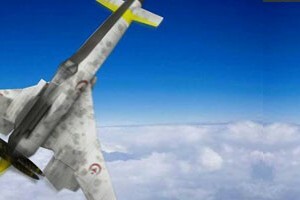 My first jet fighter that I design with a computer. It was a commercial model, released in 2008. F-15I is a dual-role long range fighter for attack and interception. 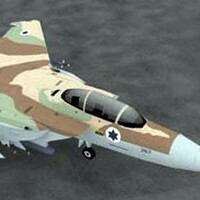 The plane - the best of its type in the Middle Eastern arena - entered service in January of 1998, and is the IAF's lead plane. The Ra'am is a special version of the F-15E Strike Eagle that was designed specifically for Israel by McDonnell Douglas (now Boeing). Its tremendous payload capacity, combined with its advanced systems, enable it to carry out depth attacks with a large weapons load, at long ranges, at low altitude, in all hours of the day and night and in any weather conditions. 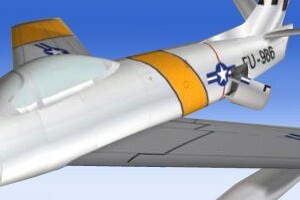 The latest United States Air Force Strike Unmanned Aerial Vehicle (UAV). 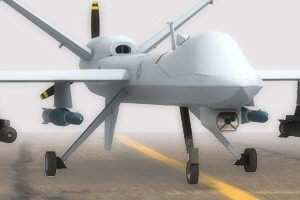 It is a development and derivative of its brother MQ-1 Predator A. Bigger, faster and even deadlier hunter killer UAV, designed for long flight and high altitude surveillance. USAF has 28 Reapers which 10.5 USD million each unit cost. This paper model is a request from a friend at papermodelers.com forum. I use 1/32 scale, with formers and inner glue flaps or glue tabs, make this model suited for advanced builder. This aircraft is a famous topic for ufo watchers and some conspiracy theorists lately. This aircraft said to be an operating anti gravitational vehicle. Edgar Rothschild Fouche also testified on UFO Disclosure project that TR3B is one of the experimental aircraft which is the result of decades of re-engineering from alien technology. Edgar is a former engineer who worked on Groom Lake US military base, we know it as Area 51. 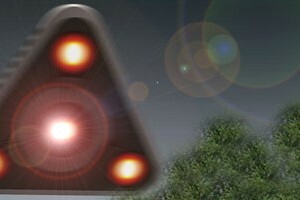 Black triangle ufo was sighted on the sky Belgium and other places in the world as well in Indonesia also has people who claim saw the object. UFO Disclosure is a project headed by Steven Greer which gathered informations from many countries, testimonials from former goverment agencies, former military personnels, military pilots, commercial pilots, goverment sub contractors, engineers, and other credible witnesess to support the disclosure of UFO secrets held by world goverments for at least five decades.